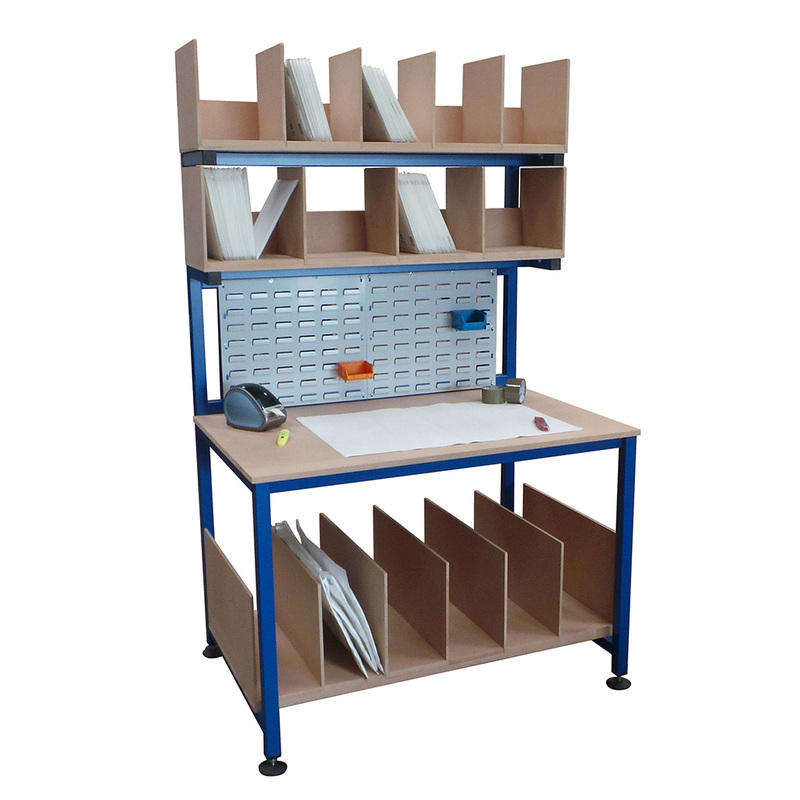 Spaceguard Premium Cantilevered electrical workbenches are a robust workbench providing maximum leg room and storage options below. With their heavy duty construction they are suitable for a range of industries, specifically within the electronics environment for repairing/recycling or within assembly production and light engineering. 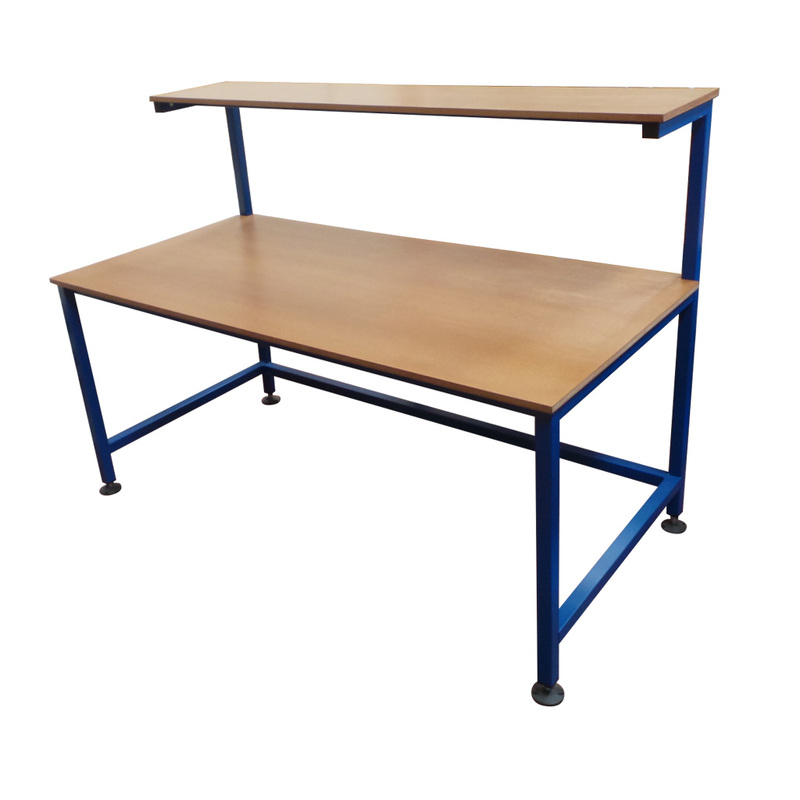 Manufactured using fully welded 40×40 and 80×40 mild steel box section these workbenches are extremely durable and arrive ready for immediate use with no further assembly required. The base model price is for a single bench with no additional accessories or shelving. 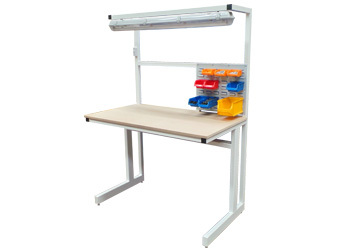 The cantilevered electrical workbench frame is finished in white, with a durable powder coated finished and is topped with an MDF worktop as standard, however a number of other options are available including laminate and ESD at an additional cost. 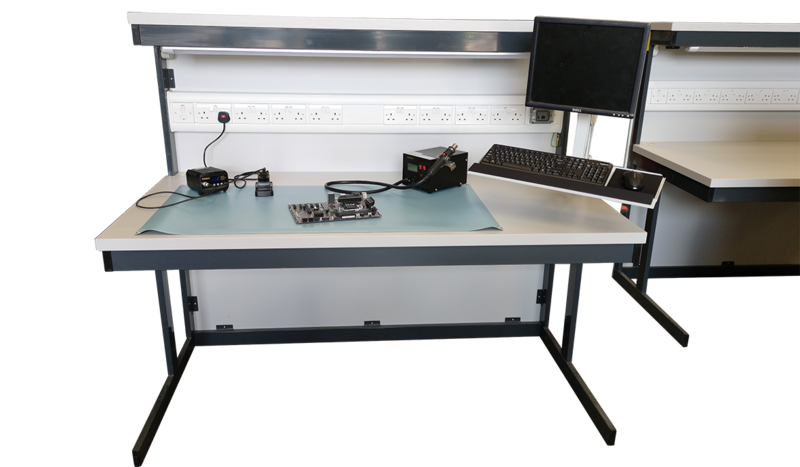 The bench sits at an 850mm working height, which can be modified at no additional cost to suit and has been designed so multiple workbenches can join up to each other for larger assembly lines. 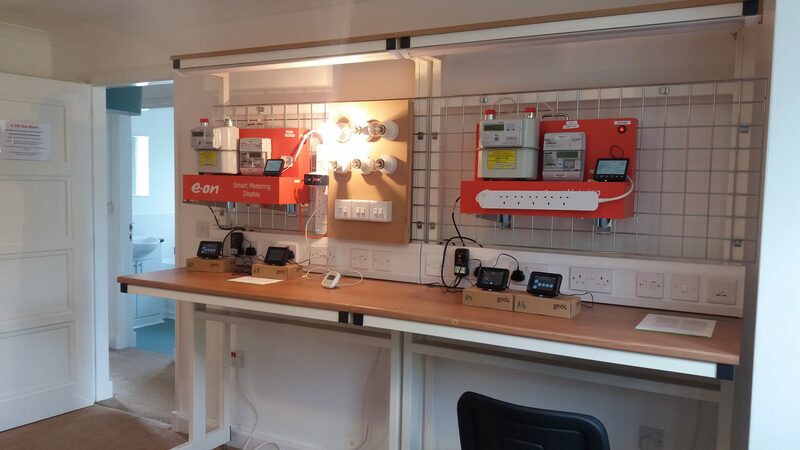 We offer a full range of suitable additions to these workbenches including louvre panels, tool racks, additional shelving and storage, lighting rails or electrical sockets. Please note that the tables listed below are only our standard sizes, we can manufacturer any sizes to suit so please contact our sales team with your requirements.